Cards and LWB in original box. Cards never used. Box has shelf wear. Imagine visiting Renaissance Florence in a parallel world, a place where the cult of the sacred female reigned supreme over the male-dominated Church. 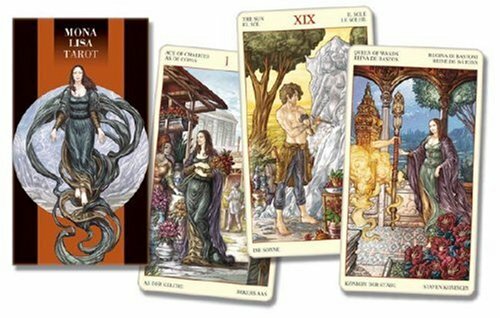 At the center of this story is the seraphic figure of Mona Lisa?a beautiful presence that enlivens this richly-illustrated deck. The cards and LWB are in English and Spanish.